AP School Education- Govt Teachers Service Rules amendment G.O.Ms.No.14. Amendments to Andhra Pradesh issued in G.O.Ms.No.11, School Education (Ser.II) Dept., dated 23.01.2009. 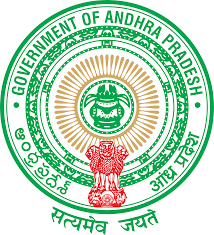 The Andhra Pradesh School Educational Subordinate Service Rules for the posts of teachers in Government Schools in Andhra Pradesh – Amendments – Notification - Orders - Issued. By recruitment by transfer of Junior Assistants from the Andhra Pradesh Ministerial Services in School Education Department. 1.G.O.Ms.No.11, School Education (Ser.II) Dept., dated 23.01.2009. 2.From the Commissioner of School Education, A.P., Ibrahimpatnam. In the circumstances reported by the Commissioner of School Education, Andhra Pradesh, in the second read above, the Government after careful examination of the matter, have decided to make certain amendments to the Andhra Pradesh School Educational Subordinate Service Rules for the posts of teachers in Government Schools in Andhra Pradesh issued in G.O.Ms.No.11, School Education (Ser.II) Dept., dated 23.01.2009, in the first read above. In exercise of the powers conferred by Section 78 and Section 99 of the Andhra Pradesh Education Act, 1982 (Andhra Pradesh Act 1 of 1982), and proviso to article 309 of the Constitution of India and of all other powers here unto enabling, the Government of Andhra Pradesh hereby makes the following amendments to the Andhra Pradesh School Educational Subordinate Service Rules for the posts of teachers in Government Schools in Andhra Pradesh issued in G.O.Ms.No.11, School Education (Ser.II) Dept., dated 23.01.2009 and as subsequently amended from time to time. The amendment shall come into force with immediate effect. (b) By recruitment by transfer of Junior Assistants from the Andhra Pradesh Ministerial Services in School Education Department”. II. The words “/City of Hyderabad” occurring in rule 9 shall be deleted.